Gives new meaning to "eating out"
Judy Chicago is a paramount figure in feminist art. She wore boots and smoked cigars like the dudes in her UCLA classes. Later on, she decided that being a woman was something she couldn’t ignore in her art. A gallery owner nicknamed her Judy “Chicago” because of her accent. Before that she had last names like Cohen from her dad’s family and Gerowitz from her late husband. She supposedly chose Chicago over all the other names (names she’d gotten from men…feminism has arrived) and for an exhibition ad in Artforum she stood in a boxing ring, wearing a sweatshirt inscribed with the name Judy Chicago. Chicago, along with Miriam Schapiro (fellow feminist), created a feminist performance and installation exhibit entitled Womanhouse in 1972. The space was a soon-to-be demolished little house in the seedier section of Hollywood. Chicago’s own installation in the show was called Menstruation Bathroom. Pretty self-explanatory – picture a trashcan full of used tampons. Yum. After that, she became famous for her vulvic array in The Dinner Party. 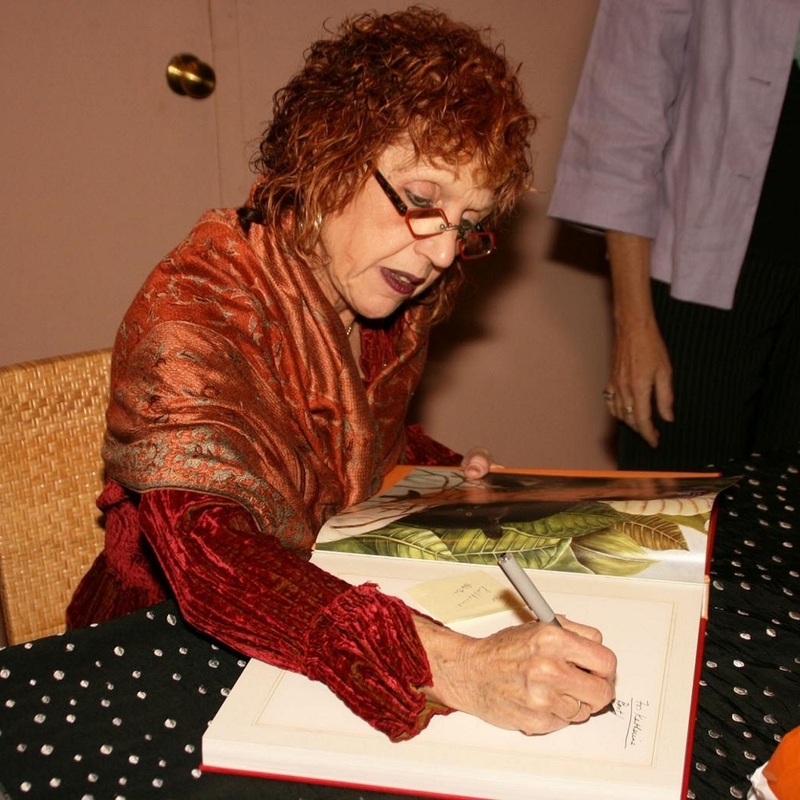 Judy Chicago (born Judith Sylvia Cohen; July 20, 1939) is an American feminist artist, art educator, and writer known for her large collaborative art installation pieces about birth and creation images, which examine the role of women in history and culture. By the 1970s, Chicago had founded the first feminist art program in the United States. Chicago's work incorporates a variety of artistic skills, such as needlework, counterbalanced with labor-intensive skills such as welding and pyrotechnics. Chicago's most well known work is The Dinner Party, which is permanently installed in the Elizabeth A. Sackler Center for Feminist Art at the Brooklyn Museum. The Dinner Party celebrates the accomplishments of women throughout history and is widely regarded as the first epic feminist artwork. Other notable art projects by Chicago include International Honor Quilt, The Birth Project,Powerplay, and The Holocaust Project. Check out the full Wikipedia article about Judy Chicago.